Taking a calcium supplement of up to 1,000 milligrams per day can help women live longer, according to a Canadian study. Although calcium is an essential nutrient for bone health, past studies have linked calcium supplements to heart disease risk, according to background information in the study, which is scheduled for publication in the Journal of Clinical Endocrinology & Metabolism. Researchers analyzing data from the large-scale Canadian Multicentre Osteoporosis Study sought to clarify this issue and found moderate doses of calcium supplements had a beneficial effect in women, although there was no statistical benefit for men. The researchers also found no conclusive evidence that vitamin D had an impact on mortality. "Our study found daily use of calcium supplements was associated with a lower risk of death among women," the study’s senior author, David Goltzman, MD, of McGill University in Montreal, said in a news release. "The benefit was seen for women who took doses of up to 1,000 mg per day, regardless of whether the supplement contained vitamin D."
The longitudinal cohort study monitored the health of 9,033 Canadians between 1995 and 2007. During that period, 1,160 participants died. Women who took up to 1,000 mg per day of calcium had a 22% lower risk of dying compared with women who did not take calcium supplements. "Higher amounts of calcium were potentially linked to longer lifespans in women, regardless of the source of the calcium," Goltzman said. "That is, the same benefits were seen when the calcium came from dairy foods, non-dairy foods or supplements." The study fails to consider the quality of the calcium supplement. 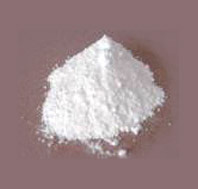 1000mg of calcium carbonate is the same as 1000mg of limestone, the body doesn't assimilate it. It's like eating chalk. Is that really all that good for the body? A good coral calcium that is harvested and processed without exposure to air is easily digested by the body. The other nutrients that are available also makes a difference. 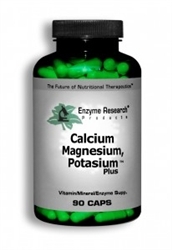 Calcium needs to be kept in balance with potassium and magnesium for ultimate use by the body. 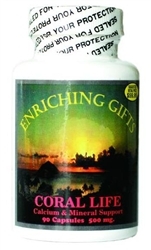 Two excellent sources for your protein needs are Enriching Gifts Coral Coral Life and Enzyme Research Products Calcium, Magnesium and Potassium. You Have Diabetes? Now What?